Our crew has a striving passion for all contemporary advancements in dental technology and materials. No matter what the procedure is, high-grade dental materials are always used - from nano-composite resins to super-hard impression materials - we have it all! You can have them, too, because in our dental office everything is so affordable. It's probably more expensive to pay for your airplane ticket to Burgas, Bulgaria than have your smile fixed with us! 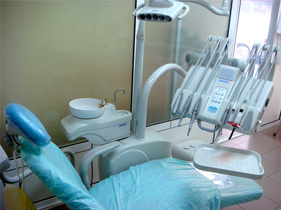 Get the latest-and-greatest of dental treatment options - pressed ceramics, zirconia ceramics, fiber-glass posts for root build-up, cosmetic dental procedures (bonding), in-office teeth whitening. Now, with direct flights to the city of Burgas, you have the most convenient opportunity to receive excellent dental treatment while visiting your relatives or spending your weekend in Bulgaria. we are now serving Sozopol, Nessebar and Sunny Beach areas! A porcelain veneer on an upper left lateral incisor – no drilling necessary. An aesthetic restoration of an upper premolar. Root canal re-treatment after an unsuccessful endodontic therapy. Non-prep composite bridge on a fiber-glass framework. An “invisible” restoration of a lateral incisor. An aesthetic restoration of a lower left molar. Interdental restorations in the anterior area. The tooth was restored by following its natural anatomic shape. The white spot is carried out and the tooth is aesthetically restored with nano-filled composite resin. This tooth was fixed with cosmetic bonding to match natural color. Direct composite veneers. The smile is dramatically improved. Anatomically restored tooth with direct bonding. “White fillings” replaced by aesthetic restorations. Diastema closed with cosmetic bonding – no drills, no pain, no shots. ©2019 Burgas Dentist. All Rights Reserved.